Ahlstrom-Munksjö is one of the world’s leading companies in sustainable and innovative fiber solutions. 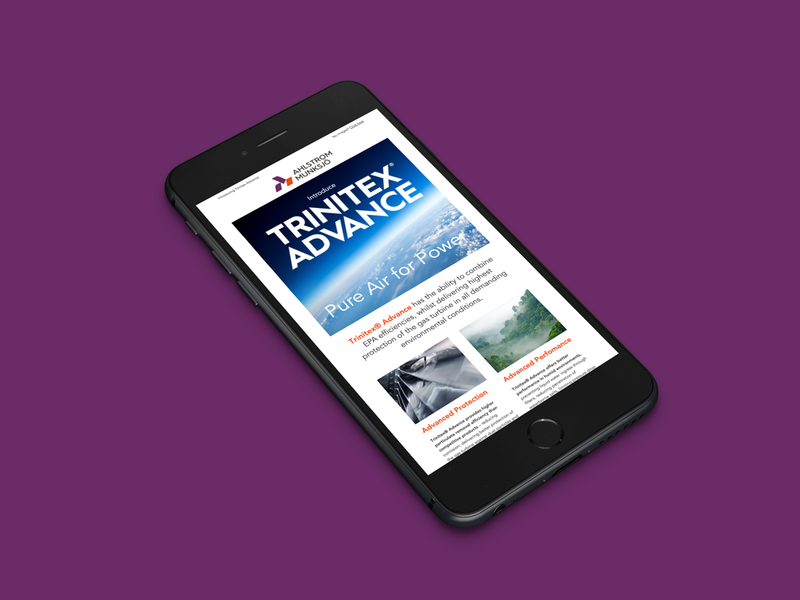 The agency was asked to help Ahlstrom–Munskjo with the global launch of Trinitex Advance – a new ingredient technology, platform product, designed to “Purify Air” for Industrial Filtration applications. From this platform, a family of products will be built over time, delivering defined customer benefits in different market sectors. The agency were then heavily involved in the launch of the first two products to be realeased under the Trintex Advance brand – W3000 and W3200. Created specifically for the power generation market, they are unique gas turbine filtration products, designed for pulse jet applications to deliver EN1822 Efficiency E10 and E12 Class respectively.